Zapier lets you connect Livestorm to hundreds of other web services. Automated connections called Zaps, set up in minutes with no coding, can automate your day-to-day tasks and build workflows between apps that otherwise wouldn't be possible. How do I connect Livestorm to Zapier? Now click on "Connect new account" and search for " Livestorm "
Use your credentials to connect your Livestorm account to Zapier. Need inspiration? 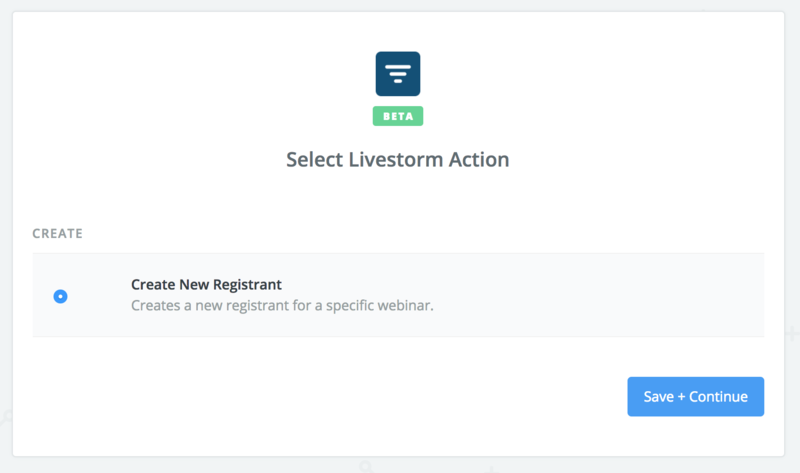 See everything that's possible with Livestorm and Zapier. 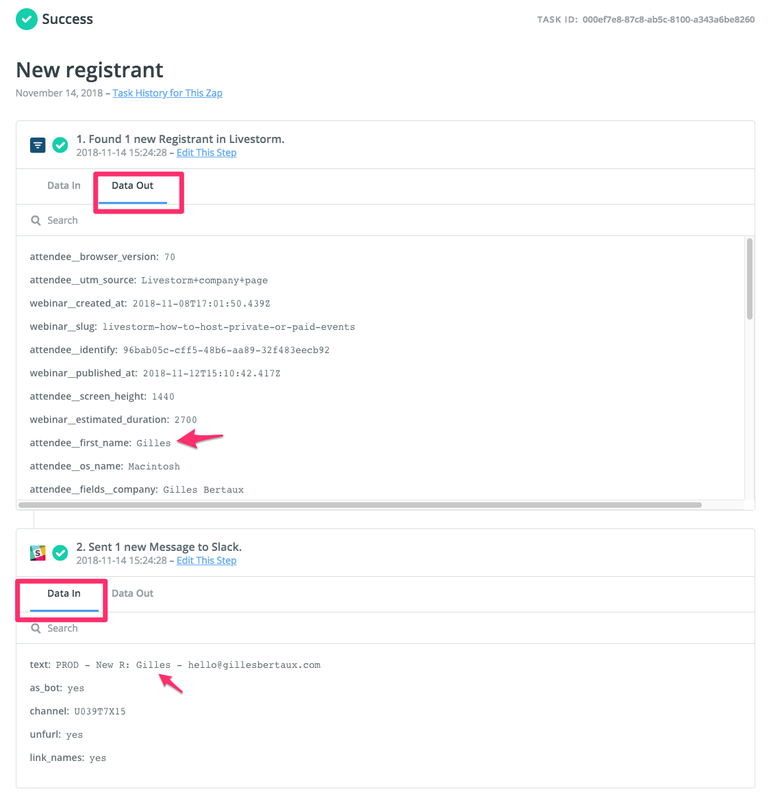 When you will connect your Livestorm account to your Zapier account, it will ask you to enter your Livestorm's API key. You can find it in Settings > Integrations > Zapier. What "Triggers" do you provide? 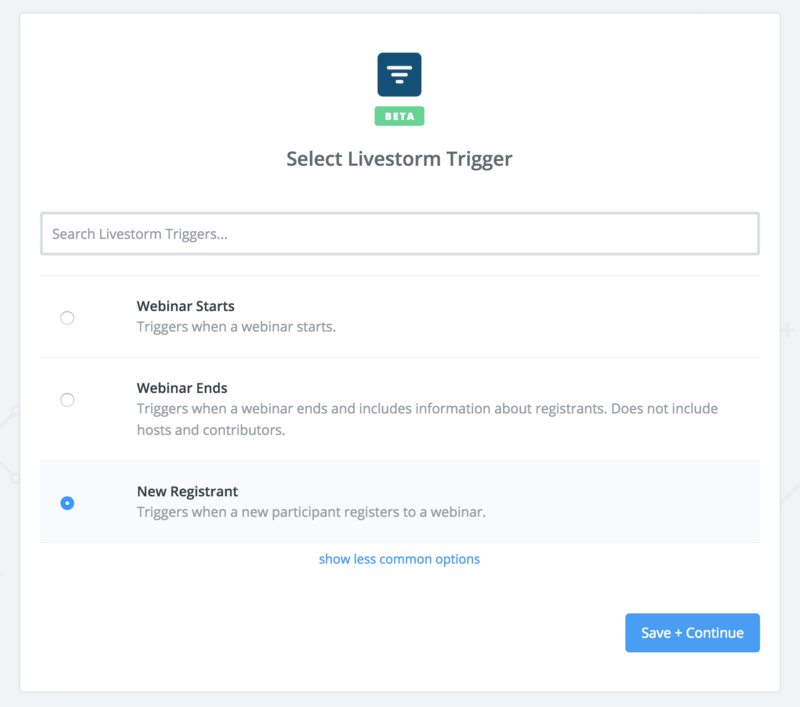 Trigger events on Zapier mean that every time a certain action happens on Livestorm then it will trigger something in another app based on the data sent by this trigger. Here's an example: if someone re gisters to your webinar you can transfer that profile to a MailChimp list. Webinar Ended (with or without line-items support). It will include all of the registrants and whether they've attended or not. This list will be updated as we continue to ship new triggers. If you need some workflows examples using those triggers you can refer to this blog post. Can I use the other way around and create registrants? Yes, you can. Zapier actions are available. You can add a new webinar registrant via Zapier, all we need is an email, first name, and last name. It's perfect if you want to use your own landing page using Instapage, Hubspot, Unbounce or Leadpages for instance. Note that you can only send Email, First name, and last name to Livestorm using Zapier at the moment. More fields will be available really soon. We do not offer a public API at the moment. Although this is something that will come down the road. If you'd like us to get in touch with you when it's available, feel free to submit your vote in our Livestorm Roadmap. In the meantime, you can use our native webhooks integration or Zapier's own webhooks integration which enables you to make API calls like an API would do. Obviously this integration would only limited by our current endpoints: sending registrants' and attendees' data. In the task history section, you will be able to inspect whatever is sent ("data out") and received ("data in") by each step of the Zap. Usually when there's an error in a running Zap you will have the details here.